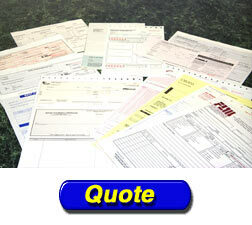 Please review our product line and feel free to request a price quote. 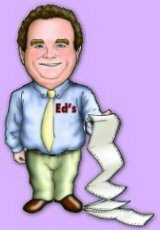 Better yet, add us to your "Favorites" list and bring us up faster the next time you have printing needs. Whether your needs are for checks, invoices, statements, bills of lading, or more complicated computer generated specialty forms, we can service your needs. 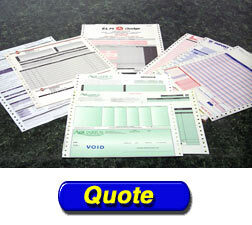 Whether your quantity ranges from 1,000 to over a million you will find us very competitive. We can produce up to 8 parts with a wide range of specifications. Also known as Snap Out Forms, these forms may be produced with a detachable stub or edge line glued. We can produce up to 8 parts with a wide range of specifications. 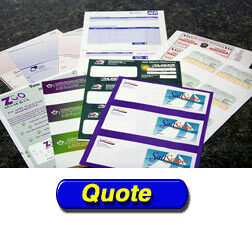 (Label tipped to form, numbering, extra perforation and whole punching, bar coding, and Kleen Stick. These are Laser Compatible Forms using Laser Compatible Ink. 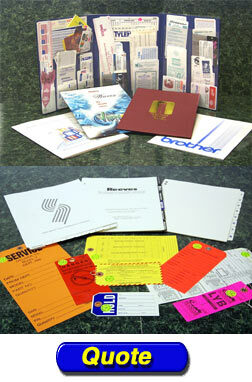 Can be produced as single sheets or as pre-collated sets. Whether it's laser checks, laser label tipped forms, or other laser cut sheet forms needed to run on your high speed printer or desk top printer, we can do it. We are your #1 source for hundreds of stock labels including Avery®* compatible labels and cards.We are a supplier of Direct Thermal and Thermal Transfer Labels as well as ribbons for thermal printers. As our photos show, we are also a supplier of custom labels.Pinfeed, Laser, Fanfold, Roll, and Crack & Peel.Contact us for a quote. *Avery® is a registered trademark of the Avery-Dennison Corporation. 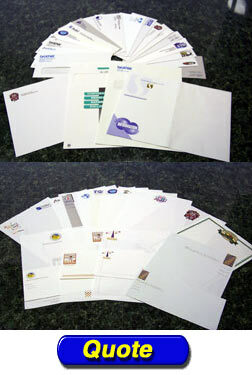 Letterhead, envelopes, or business cards, we can do it. 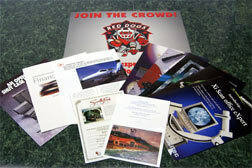 Whether one color or full color, whether raised print or flat, foil stamping or embossing, contact us for a price quote. 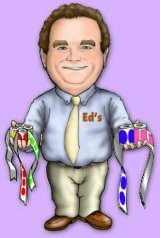 Please go to "Edtra Color" from our Home page to learn more about Full Color Printing including Web Cards, Phone Cards, Brochures, and Flyers.